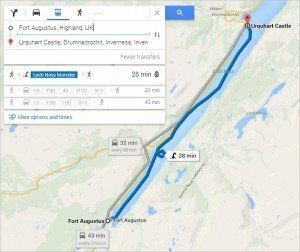 In an Easter Egg reported by Search Engine Land, Google has included the elusive Loch Ness Monster as an option in transportation the Loch. This link will take you to the directions you see in the screenshot below: Ride Nessy. Apparently Nessy is a fast swimmer because the 17 mile swim only takes 28 minutes. 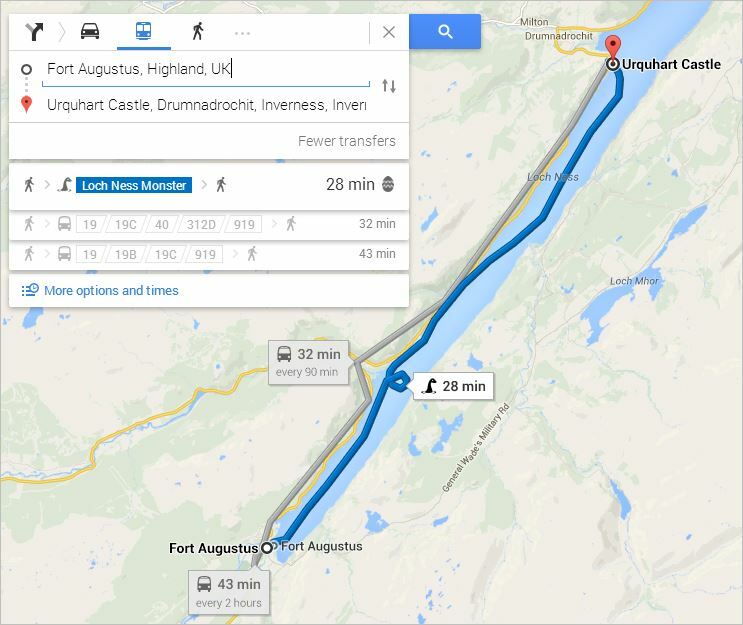 Google’s Directions include riding the Loch Ness Monster.